Are you serious about acting as your own general contractor? Download this invaluable PDF document that is being shared quietly in a few of the barndominium chat rooms and forums. It’s about scheduling your build. It is arguably one of the best we’ve seen. And although it is clearly a document that some extremely well-organized owner-builder put together for his (or her) own build, there is no attribution, no one to thank. So save yourself a ton of time and trouble. Construct your own version of this tool, which even shows clearly when you should draw down the next allotment on your construction loan and for what purpose. The owner builder here is getting a sensible start by purchasing a commercially manufactured shell (kit) rather than try to buy his own steel. He would then need to find a competent crew to erect it. Another important factor — These kits are all rated against such forces of nature as high winds and heavy snow loads. Or should be. And, we would recommend drilling your well soon after you buy the property. It would be an unhappy surprise to discover AFTER you build that you have no water source close by your barn home. 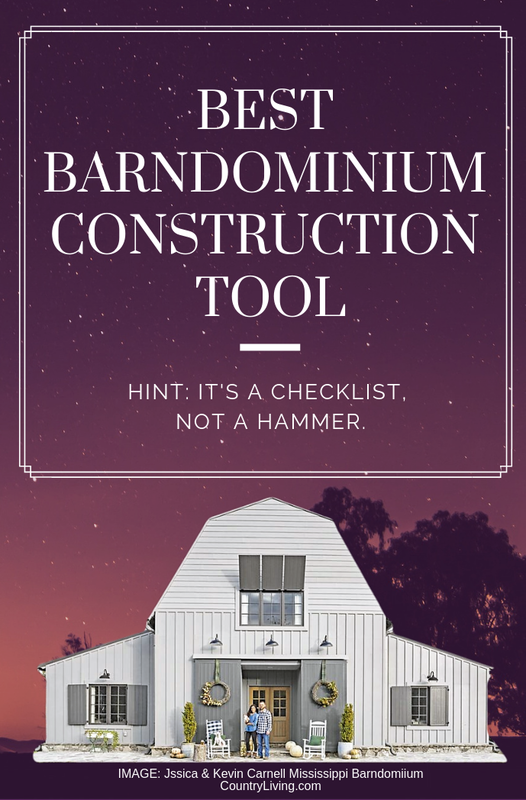 Welcome to the only site devoted entirely to answering questions about all things Barndominium. We’ll provide helpful information, videos, and interviews with current barndo owners who relate their construction stories. We’re just getting started, so check back often for our new, comprehensive articles. Thanks for visiting today. This site is a participant in the Amazon Services LLC Associates Program, an affiliate advertising program designed to provide a means for sites to earn advertising fees by advertising and linking to Amazon.com. This site also participates in other affiliate programs and is compensated for referring traffic and business to these companies.